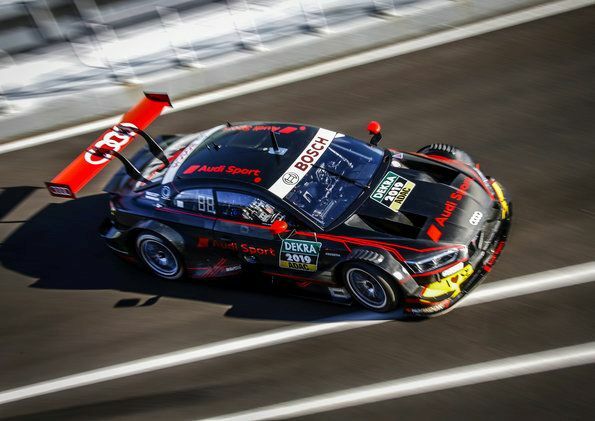 For Nico Müller, René Rast and Mike Rockenfeller, Christmas came a little earlier this year: On the racetrack at Estoril, Portugal, the three Audi drivers had their first opportunity to test the new Audi RS 5 DTM, ringing in the turbo era of the DTM. All three climbed out of the cockpit with radiant smiles. “The new DTM car has terrific muscle and momentum,” enthused Nico Müller who on Monday took the wheel on the first of the three test days. “The turbo engine has awesome thrust. We’re going to see speeds that the DTM has never seen before. 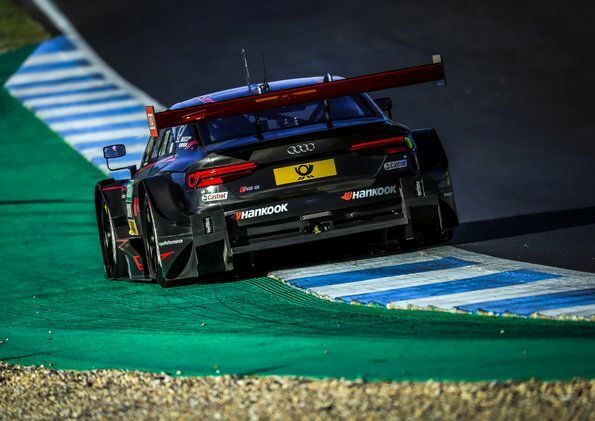 The two DTM Champions, Mike Rockenfeller and René Rast, expressed similar opinions following their first test kilometers in the new Audi RS 5 DTM: “As a race driver, you always welcome more power. 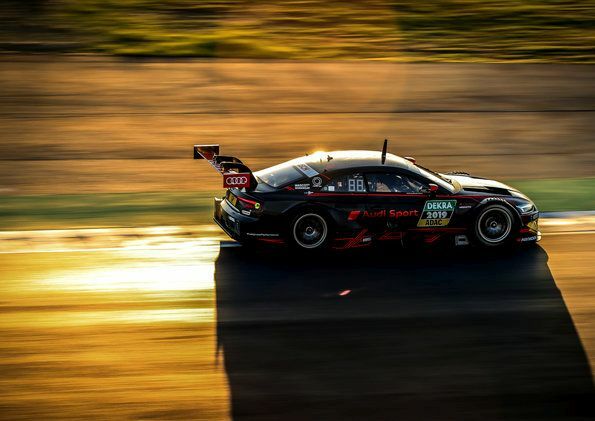 The new Class 1 regulations coming into effect in the Japanese Super GT Championship in 2020 as well are ringing in a new era in the DTM in 2019 primarily in terms of technology. The previous naturally aspirated V8 engines will be replaced by newly designed racing engines with four cylinders, two liters of displacement plus turbocharging that deliver a good mix of output and efficiency. At Audi, particularly the four-cylinder two-liter turbo units are important internal combustion engines in production cars worldwide. The turbos will not only provide the DTM with greater reference to production, as fans and drivers can look forward to a boost of nearly 100 horsepower. The TFSI engine of the 2019-generation Audi RS 5 DTM internally designated as “RC8” at Audi delivers some 600 horsepower. Completely new as well is the car’s aerodynamics: the rear wing, underfloor, front and rear diffusor were redefined by the regulations for the 2019 season. At the same time, the engineers adapted the front end to the more compact turbo engine and its cooling requirements. Due to the clearly modified front airflow, the Audi RS 5 DTM sports an even more aggressive look at the fore than its successful predecessor model. 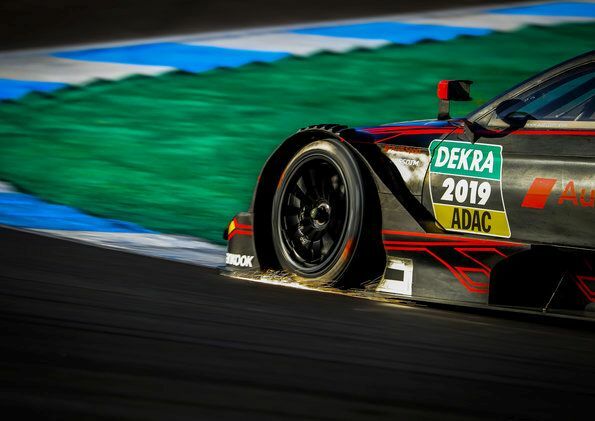 “We’re pleased to see that the first impressions of our drivers confirm exactly what we were aiming to achieve with the new DTM race cars,” said Head of Audi Motorsport Dieter Gass. “The cars are faster, more challenging to drive, look more dynamic and sound really good. The DTM is at the beginning of an exciting era. The new DTM season will start in exactly 170 days, on May 5, 2019, at the Hockenheimring. Advance ticket sales on www.dtm.com have already begun. Access to the paddock is included in all tickets for the first time.